From managing inventory, space and labor to shipping, picking and packing, Warehouse Management System (WMS) helps optimize almost all warehouse functions. The latest and sophisticated Warehouse Management Systems can integrate other software systems like barcode scanning systems, transportation management systems, etc. In the past, Warehouse Management Systems (WMS) were typically associated with large business that have complex warehouse operations. But today even small and medium size companies recognize the importance of WMS to efficiently manage inventory, logistics and delivery. Inventory tracking : Management and sales teams get an accurate, real-time picture of various stages of shipment to track goods and replenish orders. Accuracy : The WMS facilitates recording inventory and efficiently locating items for onward shipping or assembly. Reduced paperwork : Warehouse activities such as packing lists, move tickets, etc. that were previously tracked and maintained as hardcopies can now be electronically maintained. Status of current and pending orders : Warehouse managers can track where the goods are and respond to any arrival delays. Management of warehouse staff : Managers can obtain comprehensive reports on all activities happening in the warehouse. Automation and streamlining of processes reduces error rates when dependency on manpower lessens. Retrieval of data of goods and shipment : At any given point in time, previous data can be recovered and used to help management make strategic decisions. Saves time : Simplifies all operations from inventory control, staff management and space management of goods. Decreased Overhead : The cumulative effect of the above factors significantly reduces overhead. In short, having a good Warehouse Management System can help a company to effectively manage stock, space, staff and help deliver goods at a competitive cost. Bingo! 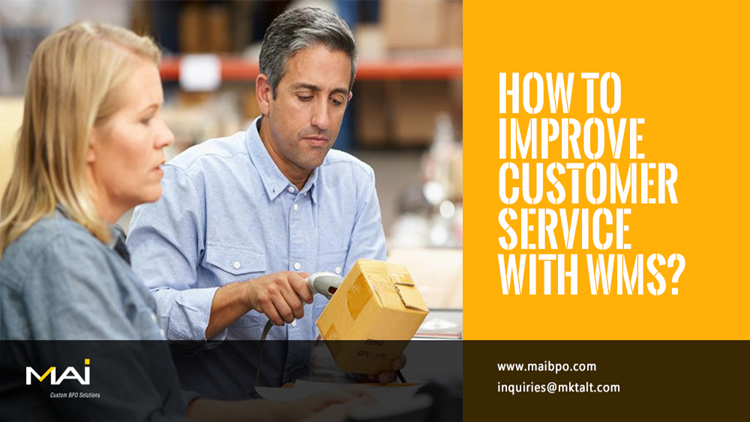 The key elements of customer satisfaction – quality, timely delivery and cost-effective service is a reality.